Formed back in 1981, the Strange Tenants are widely recognised as pioneers of the Australian ska movement and are renowned for the quality of their songs, musicianship, their powerful and infectious dance rhythms and dynamic live shows. 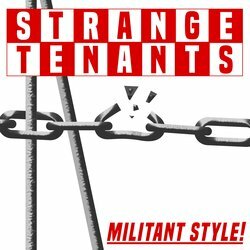 More than three decades on, Strange Tenants continue to thrill audiences with their unique style. Featuring an 8 piece line-up, this tour's set-up is sure to enthral crowds with energetic performances that have been known to transcend the ska genre and evoke new ways of thinking about Australian politics. The shows will also promote Strange Tenants: The Godfathers of Australian Ska – a new book written by Lorann Downer about the unique contribution this iconic band has made to Australia’s alternative music scene and culture. Also set for release later this year, is a documentary which will give a powerful insight into this mythical underground outfit and their ability to muster (against all odds) a massive legion of fans known fondly as the “Tenants Army”.